Well -- the Starks were right, Winter is Finally Coming. The bizarre thing about this excerpt  is it's from the point of view of Alayne. I can't remember her? Has she been in the series before? He's killed off so many characters that I'm not sure I'll be able to pick up the story thread. It's also been so long ago that I read the last book that I'm not even sure that I'm bothered any more, but Tyrion keeps pulling me back. What a great character. 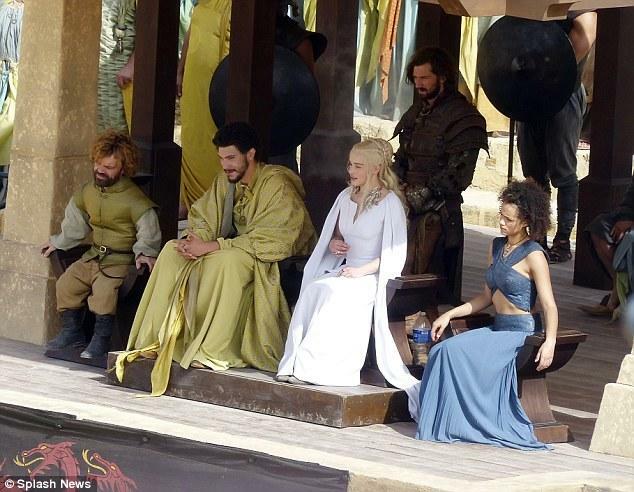 As for Daenerys, silly girl lost her dragons just when it looked as though something good might happen. She sat in the last city she captured for far too long that it ruined the plot. I hear in season 5 that she is to marry, and sitting very close by is Tyrion. Brilliant. That should be fun.